One of the reasons I love Oz naturals, in general, is their ability to combine natural ingredients that are fully effective at budget friendly prices. Co-Founder Angela Irish created Oz Naturals with her personal skin struggles in mind. Lets talk about packaging and price. Oz tends to have very practical packing and this was no exception, packaged in a 30ml squeeze tube. 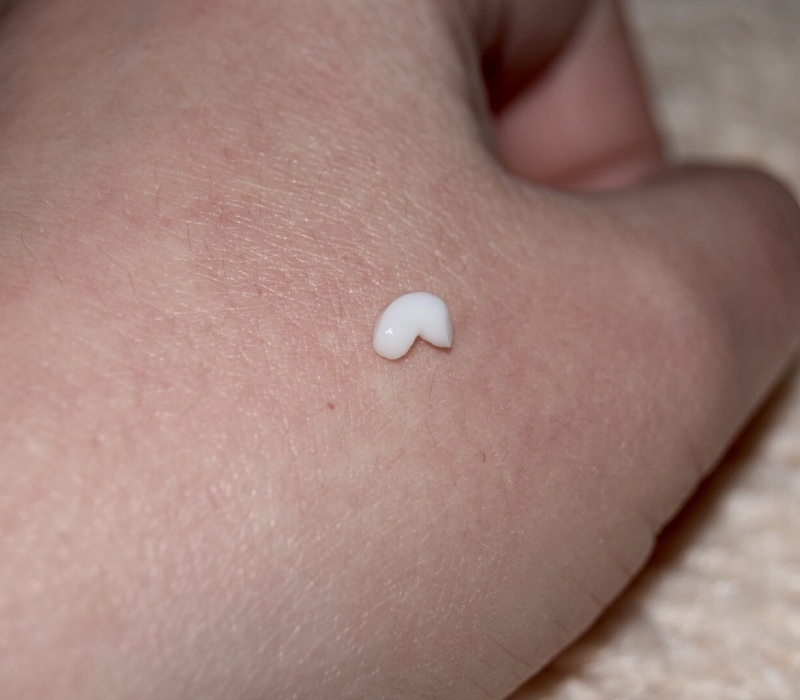 From my experience with eye creams, this is a huge amount that will last forever. The amount of product you get for $19.49 usd is amazing. I’ve paid a whole lot more for a whole lot less product in the past. The best part, in my opinion, is the tube. I hate to stick my fingers in a tube and get the product stuck under my fingernail. Not only is this less messy but you have more control over the amount of product needed for each use. The texture is just as the title states, it’s light and creamy. Oz Natural’s suggests using this over their eye gel but I used it alone on a freshly cleaned face morning and night. There is no tackiness or tightness after drying. It has absolutely no smell that I can detect. If you are familiar with eye creams they are usually on the minty side with some being overwhelming or irritating to the skin. This one is slightly minty but still super soothing. I actually look forward to putting this on because it’s so soothing. 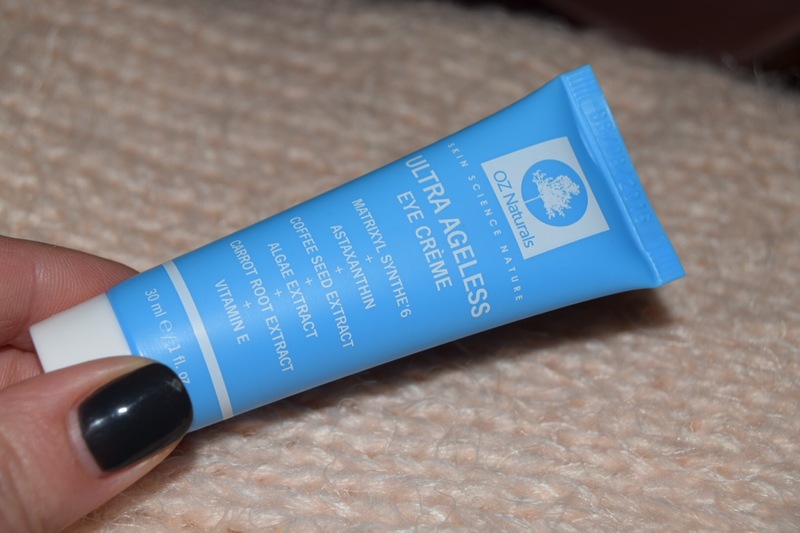 My impressions: In the short amount of time that I have been using Ultra Ageless Eye Cream, I can tell you that I love the texture, easy application, soothing effect, and the quick absorption. I do not have crows feet or any noticeable wrinkling yet so I can’t speak to that. I do have faith and am hoping that prevention is happening in the process. I can say that this works wonders for puffiness and dark circles. Every morning I look ten years older with puffy/dark bags under my eyes!! Ultra Ageless Eye Cream completely takes away the puffiness and gets the dark circles faded enough that a little concealer hides the rest. If you are interested in purchasing Oz Naturals Ultra Ageless Eye Cream you can find it here. **Disclosure: I received a free sample of this product in exchange for an honest review. All opinions are 100% honest and my own. hippylip does not promote any product that doesn’t live up to our own standards. I hope you enjoyed this post. Have you used any Oz Natural products? Give me some lip below!! ❤ ❤ ❤ yeah !!!!!!!!!! !